It's football season and that means party food. Keep your hot foods hot and your cold foods cold. Don't let food sit out for more than 2 hours. At half time replace food that has been sitting out the first half of the game. 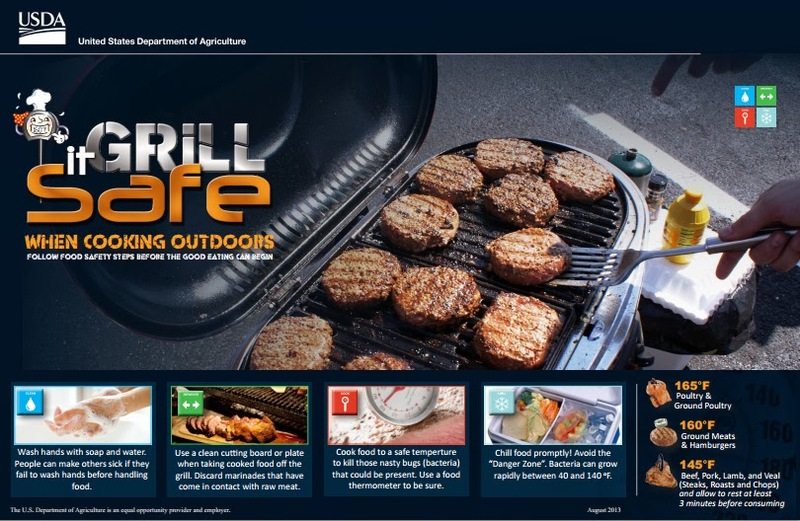 Visit FoodSafety.gov and learn how to keep your food safe from germs and bacteria. Keep your guest and family healthy be following food safe practices in your home. I keep paper towels and hand soap in an automatic dispenser in the bathroom. Each person can have a clean towel and throw it away when they are done. I also keep paper towels and liquid hand soap at the kitchen sink for guest to use. - Bring water for cleaning if none will be available at the tailgating site. Pack clean, wet, disposable cloths or moist towelettes and paper towels for cleaning hands and surfaces. - Carry cold perishable food like raw hamburger patties, sausages, and chicken in an insulated cooler packed with several inches of ice, frozen gel packs, or containers of ice. - Be sure raw meat and poultry are wrapped securely to prevent their juices from cross-contaminating ready-to-eat food. If possible, store these foods near the bottom of the cooler, so that juices don’t contaminate other foods in the cooler. - If you can’t keep hot food hot during the drive to your tailgate, plan and chill the food in the refrigerator before packing it in a cooler. Reheat the food to 165 °F as measured with a food thermometer. - A general rule of thumb for your tailgate: keep hot foods hot and cold foods cold. Keep cold foods chilled to 40 degrees Fahrenheit or below and hot foods heated to 140 degrees Fahrenheit or above. - The two-hour rule is also in effect: food should not sit at room temperature for more than two hours so have replacements ready at half time. - If bringing hot take-out food (like chicken fingers, wings etc. ), eat it within 2 hours of purchase (1 hour if the temperature is above 90 °F). - Instead of using large serving bowls, serve dips and items with dairy in smaller containers. Make several in advance and keep them chilled in the refrigerator or coolers until you need them. - Offer serving spoons and small plates to reduce opportunity for guests to eat items like dip and guacamole directly from the serving container (double-dipping is a no-no and can increase the chances for food contamination).- Bring water for cleaning if none will be available at the tailgating site. Pack clean, wet, disposable cloths or moist towelettes and paper towels for cleaning hands and surfaces. - Offer serving spoons and small plates to reduce opportunity for guests to eat items like dip and guacamole directly from the serving container (double-dipping is a no-no and can increase the chances for food contamination). visit FoodSafety.gov to learn about best food safety practices, utilize “Ask Karen,” an online database with nearly 1,500 answers to specific questions related to preventing foodborne illnesses, in both English and Spanish, or to call the USDA Meat & Poultry Hotline at 1-888-MPHotline.